We are very excited and looking forward to the launch of our new mobile website for iphone, android and all other phones. Official launch date is scheduled on November 6th, 2011. 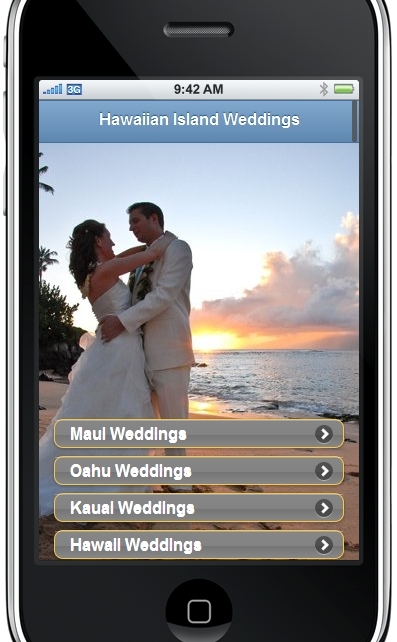 Just go to our website at http://www.hawaiianislandweddings.com with your mobile smartphone and see all 30 of our wedding packages, details and photos of each, information about Hawaiian Island Weddings, photo gallery, and contact form. We will also be updating our app to include links to locations in the months to come. Hope you like it!